I’ve run a lot of races. I’m not sure the exact number but I know I’ve run 2 marathons and 38 half marathons and lots of other distances. So, the opportunity to have a truly awful race has arisen more than once. 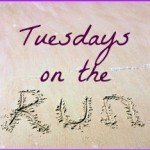 In fact, I had a hard time deciding what was my worst race ever to write about for Tuesdays on the Run with Patty and April. After all, I’ve run races where the pouring rain nearly washed my contacts out, races where the hills chewed me up and spit me out, and races were I was completely undertrained for the event. What made it my worst race? The heat (we all know I’m really sensitive), my dehydration going into the race, and my own inexperience with racing long distances. (I’d run the Army 10 miler once. All of my other races were 10K or shorter.) If you’d like to read about that train wreck of a race, feel free to check out my ZOOMA Annapolis race report. 1. Respect the heat – I’m not a fan of hot weather running, but spring races in particular can be really hard. A race on the first hot weekend of the year is not a time to try to PR. If you’ve been running in cold weather and your body isn’t adapted to the heat, it’s time to slow it down and run for fun. Even if you enjoy running in the warm weather, heat and humidity will make it harder to run at any given pace. 2. Everything is better with friends – I’ve run hot races since then (and races that were awful for other reasons), but if I have friends on the course with me, it’s going to be an ok race. I pretty much never run an entire race with anyone, it’s enough to know that there are people out there who will meet me at the end and/or commiserate over the awfulness. 3. Stupidity can trump a good training season – You can put in all the runs. You can hit all your paces. But a few stupid choices can totally negate that. Things like starting a race too fast, starting out dehydrated, ignoring the toll the heat and hills are taking on you, etc. can make 13 miles feel like an ultra. There are lessons to learn from every single race you do. 4. 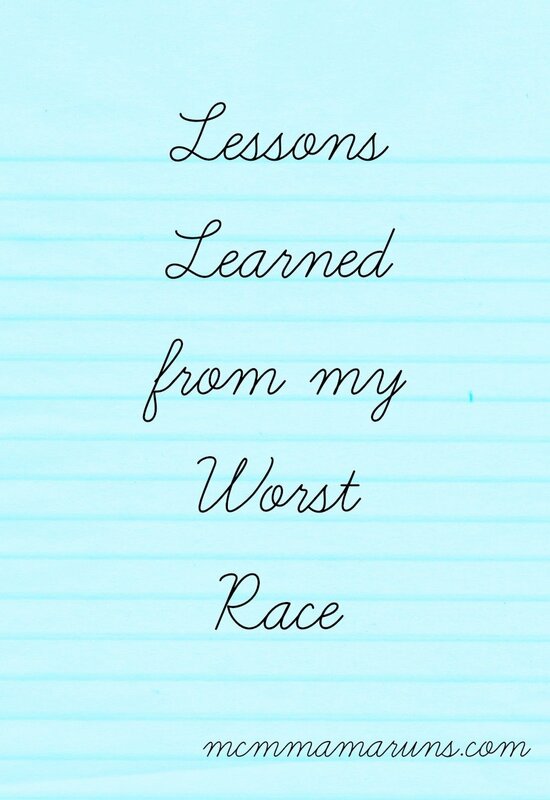 Appreciate the positives – OK, I admit, I didn’t appreciate this lesson until well after this race. I was too invested in finishing fast to wrap my head around being proud of finishing. Sometimes you need to just be happy you didn’t DNF, that the race course was lovely, and that the volunteers had smiles. I’ve learned that every race I finish upright and smiling is a good race. 5. We are stronger than we think we are – There are moments in many races where I’m not sure I’ll finish, much less finish fast. But I’ve learned that if I dig deeper, I have it within myself to get to the finish line. I just have to keep my mind from telling me I can’t do it. Most of the time, if you can get your brain on board, you can succeed. I also learned (and this still holds true for me) that Gatorade is a lifesaver for me when I’m running a hot race. What have you learned from your worst racing experiences? Is there a product that can make or break a race for you? Tuesdays on the Run: Where has my running gone? #2 for sure! One of my worst races was the 2000 LA Marathon. It was pouring rain (our shoes were soaked before the start), freezing (I had hypothermia after the race), and just overall miserable (we wore our garbage bags for the whole race!). I was running with my good friend and running partner. I would NEVER have finished if it hadn’t been for her. I actually enjoy running when it’s hot. Alot more than the cold. But keeping hydrated is something that I know I don’t keep up with the way I should. And I always end up feeling it at the end. #5 in racing fitness and LIFE. 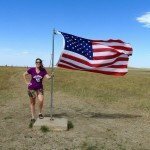 CARLA recently posted…I walked my half-marathon! It also took me some time to learn how much harder it is to run in the heat. Also, humidity can be very deceiving if its not super hot. I would definitely agree that we are stronger than we think we are! Sometimes we just need to force ourselves to keep pushing even when we are having a really difficult race. You and I feel the same about the heat and humidity. It does me in but I’ve just learned to slow down and just run any races for fun. I’ve had too many where I’ve felt awful, trying to overcome the heat and humidity. If I’m sweating terribly by mile 2, listen to that! That’s my sign to back off. Heat and humidity are not my friend. Both my halfs last year were my slowest thanks to those factors..heat also was a huge factor in my first (and worst race ever) attempt at the Chicago marathon. I’m working on that now by training inside on the ‘mill, wearing lots of layer, as I prepare for my Florida half, scheduled for March. I definitely struggle in heat and humidit as Calgary is very dry.. It can be tough to alter your expectations for the race in that circumstance. I love your comment on seeing the positives! It can be really hard but there is so much to learn from races that don’t go well. I’m with you on heat. It just unravels me. Hills are tough for me too as it’s difficult to train here for them. Who knew Zomma’s been around that long? Not me. I hate hills, but I have plenty of opportunity to train on them right here in my own neighborhood. Sounds like you’ve learned some great lessons since your first half. Heat and humidity are definitely conditions that you have to learn to acclimate yourself to. I actually have learned to like running in the heat and humidity, but its taken some trial and error to figure out how to keep myself properly fueled and hydrated. Great tips – Running in the heat is tough! Luckily I’ve never had a race that was so unbearably hot but have had some brutal training runs…it really slows you down! I agree to all of the above, but love #5! 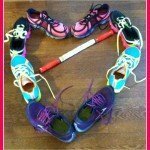 Half-Crazed Runner recently posted…Weight Management with the Spiralizer! I’m sensitive to the heat as well. I’ve been lucky so far, but I know it’s only a matter of time. I’ve dealt with humidity but thankfully it was overcast during the races. I think number 5 is SO important!!! Even for our best races. All good lessons! I really do not do well in the heat – it is my Achilles heel for sure! I’ve learned to run how you trained. Don’t be an idiot and change up your hydration source in the middle of the race. Lesson learned. All good lessons learned. I am not a fan of the heat/humidity either… I do not do well in those conditions. Nice prompt for ToTr….enjoyed reading them all. All great lessons! I think #4 and #5 are so important and are things you only learn through experience! Gatorade is a must in the summer races. I’ve also added salt caps as well. I’ve come to appreciate the journey and the finish. It’s not about the PR (although they are nice too). I really need to try out salt caps. I agree with your #2 – Everything better with friends! I love my BRFs!! I appreciate these tips! and YES to respect the heat — It has such a HUGE effect on every run! I am not a fan of hot weather even when I’m not running, so when I am, I’m even more unhappy about it. Since I can’t run anymore, I should have enjoyed it and reflected there is not such thing as bad races because there will be a time when your running days will be over. True. I’m always thankful that I can run. I’ve only intentionally run one trail race and quickly realized it wasn’t my thing. The heat is tough! I bombed a tri one year bc I was so dehydrated. I did my first half at Zooma the following year! 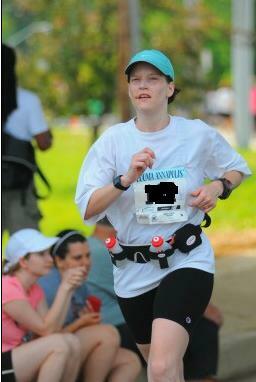 I’m always nervous about spring races because you can be surprised by a hot day and your body is totally unprepared. I don’t remember a “worst” race…there were those that were run in torrential rain, up and down mountains, and in the HOT of the destert, which added to the challenges, but I never regretted running a particular event/race. Maybe one that stands out as I was so close to a goal 0f a 40 min 10k and my asthma kicked in and wouldn’t relent- close but no cigar! Now I carry an inhaler for sure!